A couple of Imagine! events are coming up in August that you won’t want to miss. 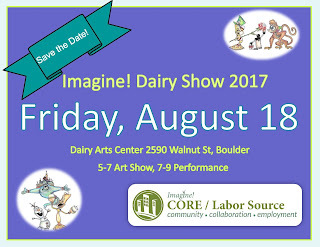 Imagine!’s CORE/Labor Source (CLS) department is hosting its annual Art Show and Performance on August 18 at the Dairy Arts Center. The fun begins at 5:00, when you can peruse the Dairy’s gallery, viewing some amazing art created by students in CLS art classes while enjoying drinks and hors d'oeuvres. And of course, the art will be available for purchase. 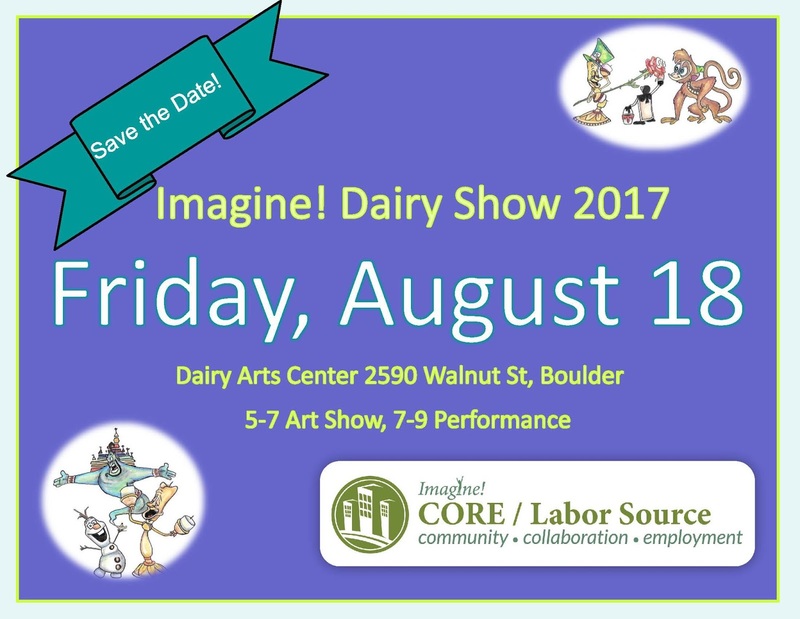 At 7:00, the entertainment moves to the Dairy Center’s main stage, where CLS participants will present a variety of music, dance, and spoken word performances. 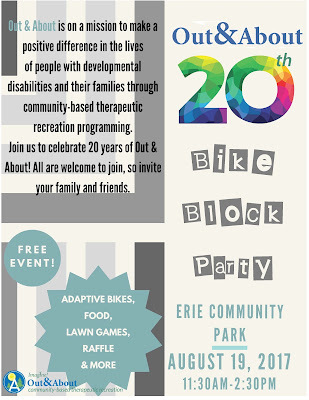 Then, on the following day, August 19, Imagine!’s Out & About department will be hosting its annual Bike Block Party at Erie Community Park from 11:30 to 2:30. This is an amazing event where attendees can test drive a variety of adaptive bikes designed to ensure that people of all abilities can enjoy the freedom and excitement that comes from biking. There will be games, food, and since this is the 20th Anniversary of Out & About, a few other surprises as well. Both events are free. Mark your calendars now!